You steal my roses, the things I love most in all the world. Your luck has gone from bad to worse. 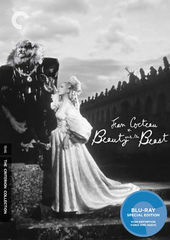 La Belle et la Bête, directed by Jean Cocteau and with uncredited directing assistance from René Clément, is a dark and lyrical adaptation of the well-known fairy tale by Jeanne-Marie Leprince de Beaumont. Made in 1946 in the immediate aftermath of WWII, the film gave French audiences something they deeply desired: a rich and enticing fantasy, an escape from post-war drudgery. The film is lauded as one of the most technically impressive of the era but its production was fraught with problems both technical and personal. The crew had to contend with a scarcity of film and a shortage of electricity, often having to work by candlelight. Cocteau himself was in poor health with a serious skin condition and nearly died from blood poisoning. This is where René Clément, ostensibly his technical adviser, stepped in, directing during Cocteau's absences. 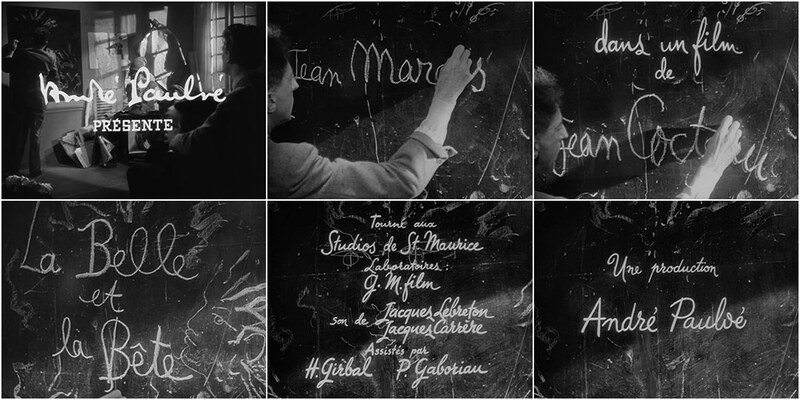 Despite these difficulties, Cocteau, Clément, and their team succeeded in creating a cinematic jewel, one of those rare films that captures a true sense of enchantment. Cocteau intended for his film to be a realistic rendition of a classic tale, to uplift and inspire an adult audience and give them something to remember what it was like to look at the world with childlike wonder. 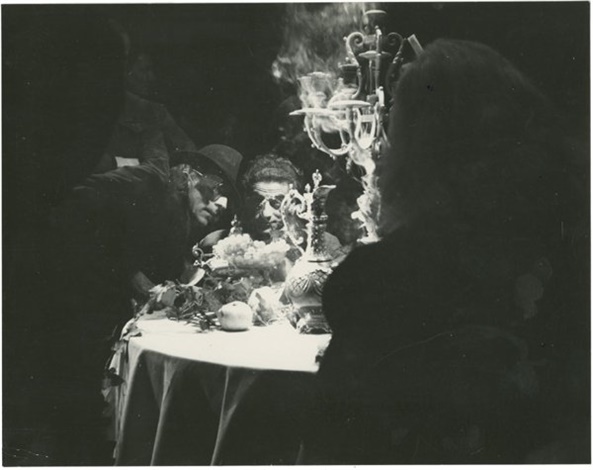 Jean Cocteau and René Clément prepare a scene in La belle et la Bête, 1946. L'enfance croit ce qu'on lui raconte et ne le met pas en doute. Elle croit qu'une rose qu'on cueille peut attirer des drames dans une famille. Elle croit que les mains d'une bête humaine se mettent à fumer et que cette bête en a honte lorsqu'une jeune fille habite sa maison. Elle croit mille autres choses bien naïves. Children believe what we tell them. They have complete faith in us. They believe that a rose plucked from a garden can plunge a family into conflict. They believe that the hands of a human beast will smoke when he slays a victim, and that this will cause him shame when a young maiden takes up residence in his home. They believe a thousand other simple things.